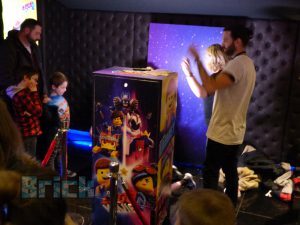 On Saturday, February 2, the worldwide premiere of The LEGO Movie 2: The Second Part was held in Los Angeles, California, USA. 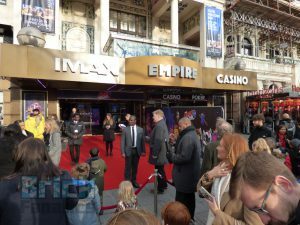 A few hours ahead of that, a more low key, “fun in the foyer” UK premiere took place at the Empire cinema, located in London, UK’s Leicester Square. 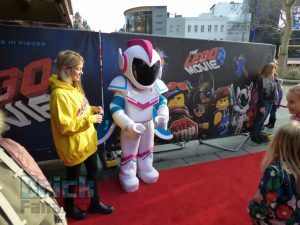 The cast and talent behind the film were of course stateside for the big premiere, but local LEGO talent did turn up to Leicester Square for the screening. 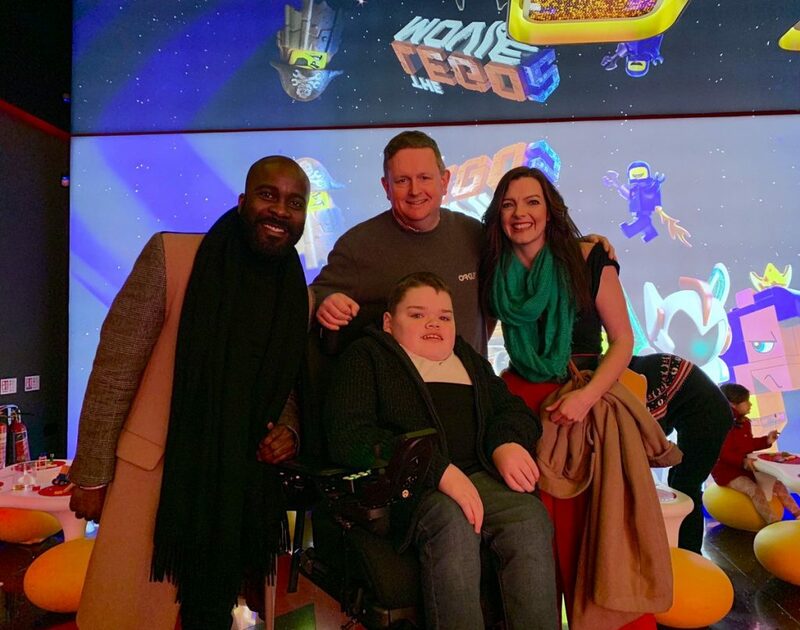 LEGO MASTERS stars Melvin Odoom and Fran Scott were in attendance, as were Series 2 winners Paul and Lewis. 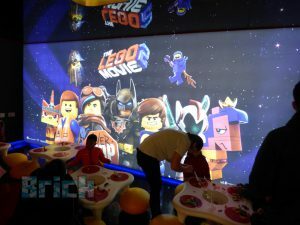 Members of the LEGO design team also attended to see their models appear on the big screen. 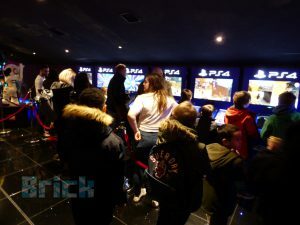 For the special screening, the cinema’s foyer was packed with activities for families to try out – LEGO bricks on hand to build with, video games available to play, activity sheets for colouring, a reflex game testing the speed of young fans and a selfie station for fun snaps. 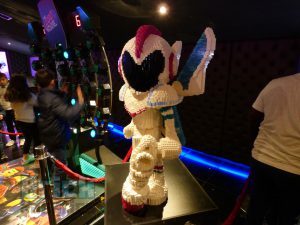 Sweet Mayhem, Emmet and Lucy were all in attendance, posing for photographs around the venue. 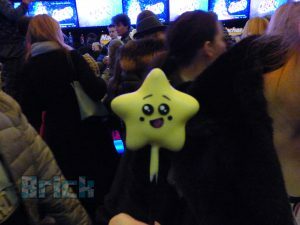 Special snacks were devised for the occasion. 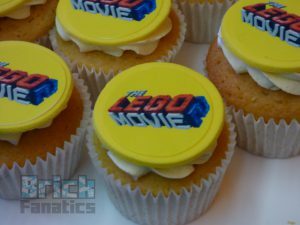 As well as cupcakes bearing the film’s logo, guests could enjoy Star and Heart treats or biscuits featuring characters from The LEGO Movie 2: The Second Part. 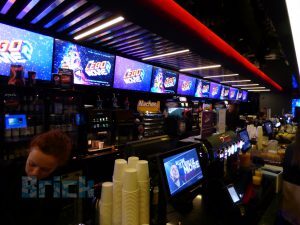 The Empire is home to an impressive IMAX screen, on which the film was shown, as well as the smaller – but still large – SuperScreen. 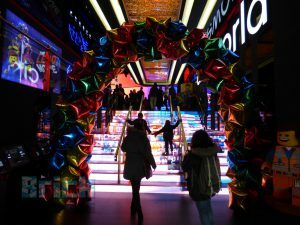 With the special UK screening celebrating the imminent release of the film, fans can now wait just a few short days until it arrives in cinemas across the country. 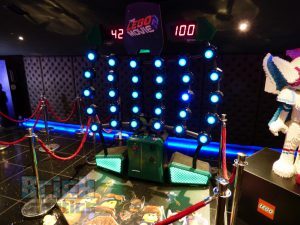 To see how the citizens of Apocalypseburg put on a premiere for The LEGO Movie 2: The Second Part, check out this exclusive build feature. 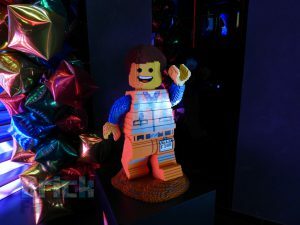 Brick Fanatics reviewed The LEGO Movie 2: The Second Part last week. 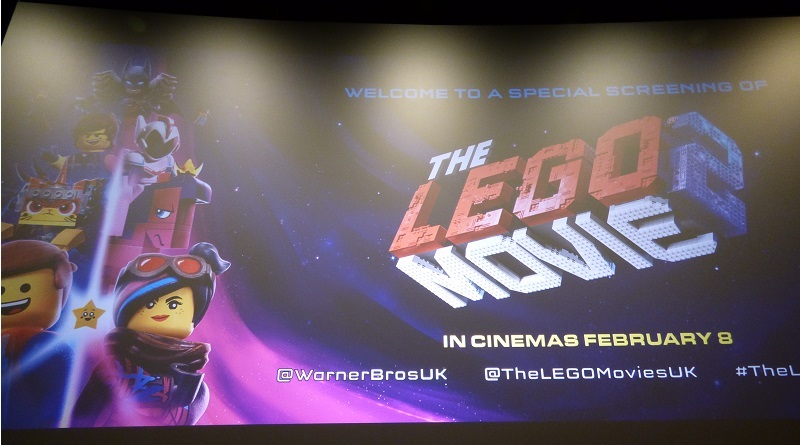 The LEGO Movie 2: The Second Part will be released on February 8, 2019. 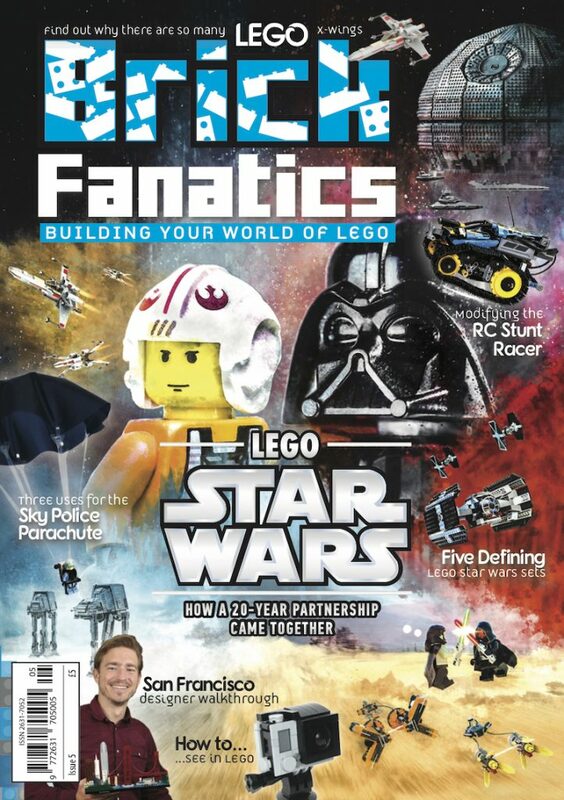 To find out about the making of the film, check out Brick Fanatics Magazine Issue 2.